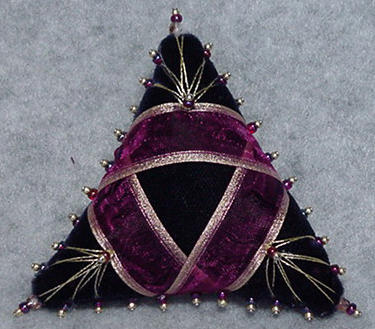 A simple shape, wrapped with a gilded edged ribbon, is found in our triangle kit. Gold and scarlet seed beads reflect the colors of the sheer ribbon. The cushion is completed with gold threadwork.